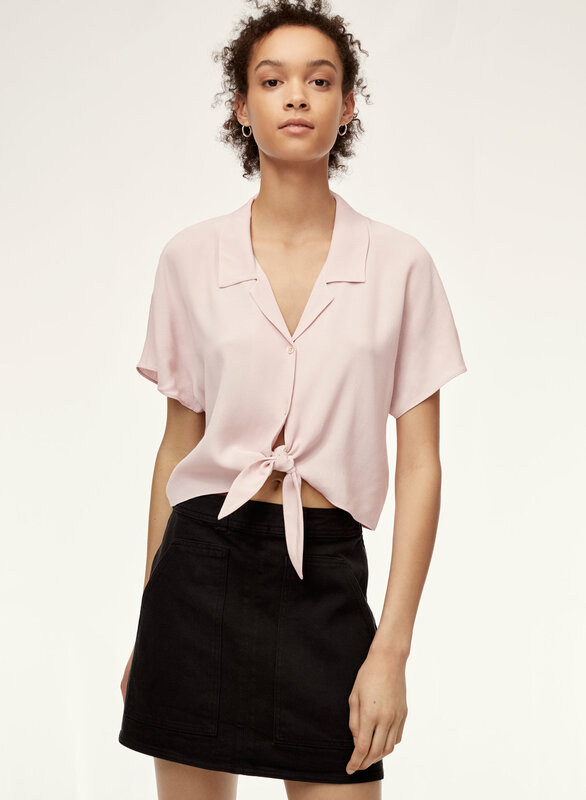 Styled with the tie-front blouse . 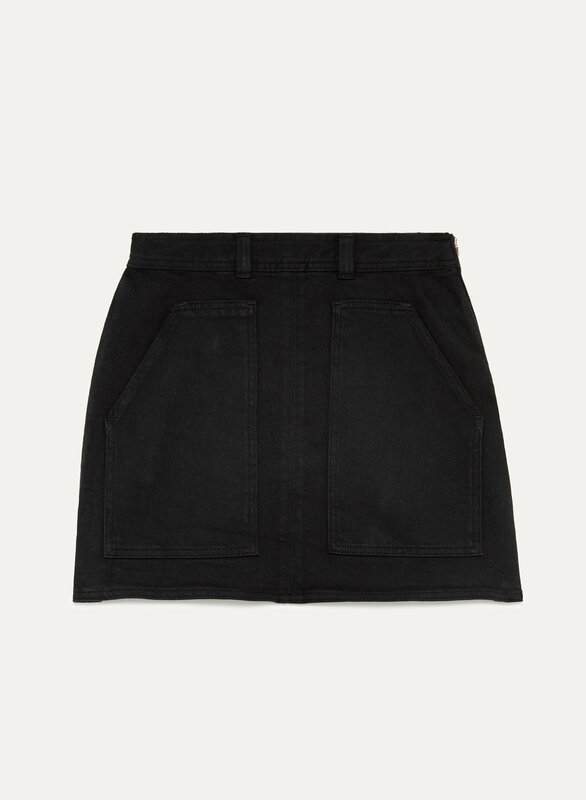 This mini skirt is made with a cotton twill that has the perfect amount of stretch so it'll hold its shape. The A-line silhouette makes for an easy, flattering fit.